From the 1960s to the 1990s, Cambodia was in an almost constant state of war. 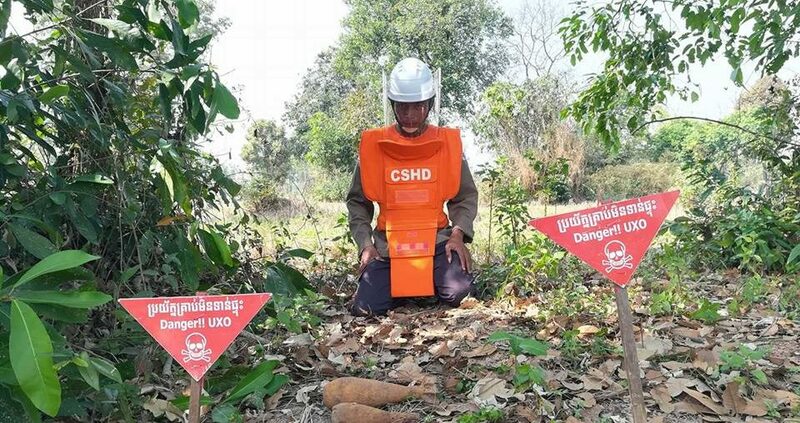 five million landmines and explosive remnants of war remain hidden in Cambodia. Long-forgotten landmines, grenades, rockets, artillery shells and cluster bombs kill and injure people and deny farmers and families thousands of hectares of land. Saturation bombing, civil war, and genocide has scarred its landscapes and its people. Saturation bombing, civil war, and genocide scarred its landscapes and its people. People who find these explosives need to know how to respond. They need the devices removed quickly and safely. Cambodian Self-Help Demining operates demining and explosive ordnance disposal teams in rural Cambodia. 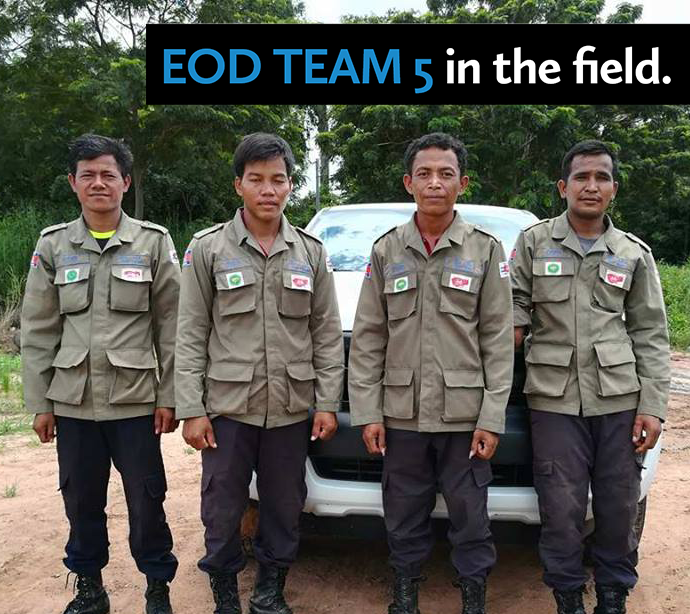 When villagers find mines and other explosive remnants of war, one of five EOD teams are dispatched to neutralize the explosives and conduct mine risk education. The Canadian Landmine Foundation is proud to sponsor EOD TEAM 5. CSHD was founded in 2008 by an ex-child soldier named Aki Ra. He’s been demining since 1993 and has personally cleared more than 50,000 landmines. To date, CSHD teams have cleared 3 million square metres of land!